Rally the fans with great concession signage and branding all across campus. The Howard Company has extensive experience designing displays, menu boards and branding for colleges, universities and high schools. If you are looking for an upgrade, tap our experts for a complete branded package. Take your facilities from dull to dynamite with a makeover using Howard Company signage and décor. Speed up service in your food lines and inspire school spirit with solutions created just for your school. We can create and manufacture custom designs for your school in any budget range and from multiple materials for indoor and outdoor applications. The Howard Company experts will help your school express their identity to all visitors with upbeat and high quality designs. 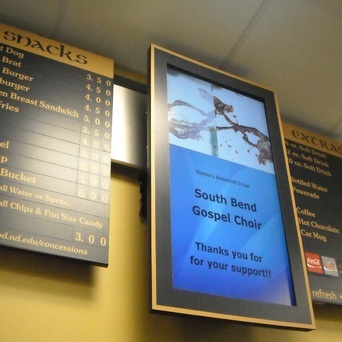 Incorporate digital display screens to keep your students, staff and visitors updated with the latest school news. Our easy to use software programs allow updating one screen or a district-wide display system. Crunched for time? Installation is our specialty! We want to make your renovation an easy and uncomplicated process. Look to The Howard Company for quality solutions to your design needs! 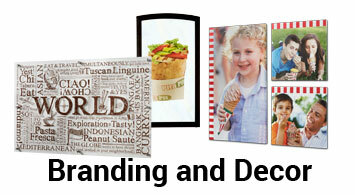 Unify your messaging inside and outside with these fine Howard Company product offerings. 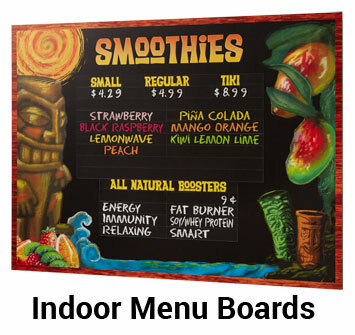 Our menu board array allows easy access to change your food service line offerings frequently. We have standard designs and sizes constructed of sturdy materials built to last. Our designers create colorful backgrounds to match your décor or key on your mascots for team spirit. Keep students, staff and visitors updated with school activities, menus, upcoming events - you can program menu content to change automatically, weeks in advance right from your office! The design of the digital display is completely customized to match your needs and specifications. Tap on the talents of our design department to create custom wall art reflecting your school’s personality. We offer solutions in any number of applications: dimensional mounted signage, vinyl appliques, ceiling tile art, window graphics, school themed decorations – whatever fits your needs and budget! 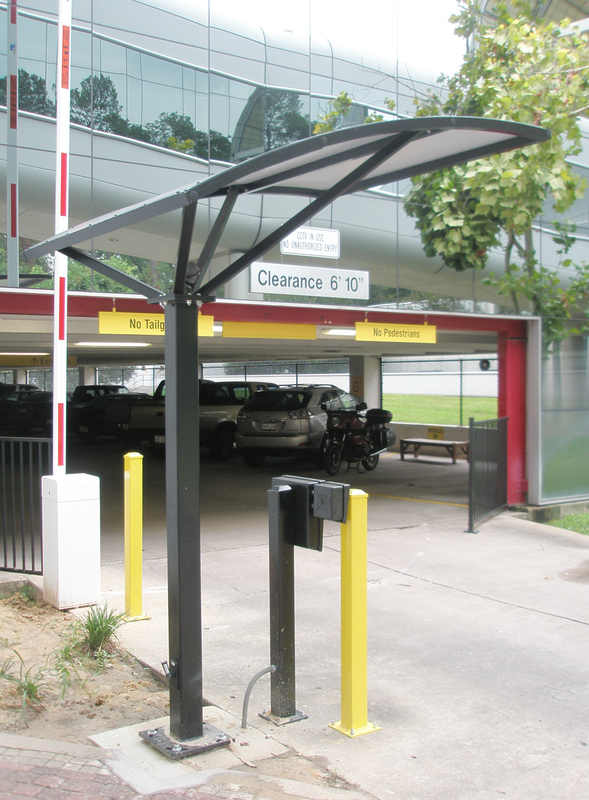 We will outfit you with directional signs, clearance bars, canopies, communication systems and everything else you need for a busy campus.